The name of this game is simple. Curries and curried dishes are everywhere and still seem to be gaining popularity. And why not? A little spice is always nice. Good curry powder packs so much flavor, it’s the a natural addition to your staple pantry spices. This curry powder makes dinner even easier because it only uses 3 ingredients – that you most likely already have in your pantry. Plus it doesn’t compromise on flavor. There are a few reasons why you may want to make curry powder instead of buying it. The first is that you might not have store-bought curry powder on hand and want to whip up some warm and comforting chicken or vegetables. If you cook any kind of ethnic food regularly, there’s a good chance that you have these three ingredients in your pantry, readily available for this quick fix. 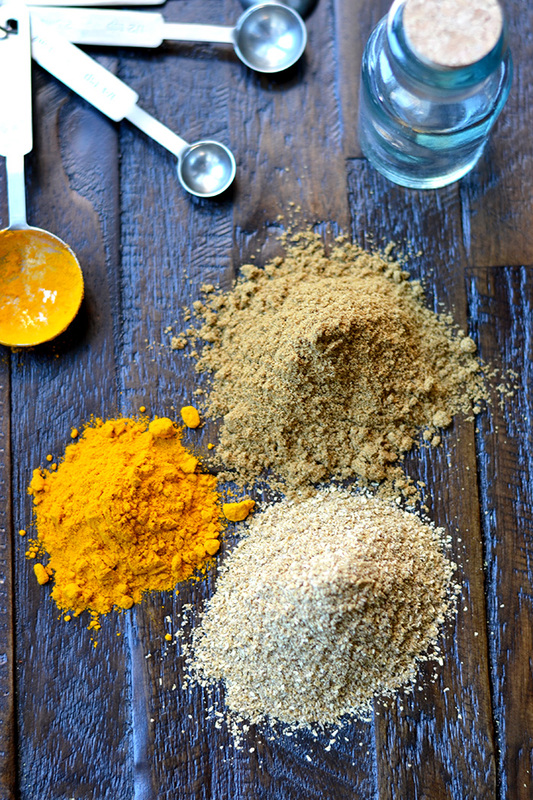 The second reason is simply that store-bought curry powders vary so greatly. Many include turmeric, cumin, coriander, garam masala, fennel, cayenne, cinnamon or many of the other spices we often correlate with South Asian cuisine. Because there are so many spices to choose from and include, these store-bought powders can vary quite a bit. There are also some cheap curry powders that use yellow food coloring and taste muddled and flat. Unfortunately, I think these cheap versions were closer to what my grandmother used in her few curry recipes from “The Art of Good Cooking,” 50+ years ago. I just see no other reason why each recipe would require multiple tablespoons of curry powder (versus the teaspoons you see today). I’m sure she would appreciate the potent spices we have access to now. This curry powder recipe may not have the most complex flavor, but it’s a great easy way to add a touch of savory warmth to any boring dish. I love it in Lemon Coriander Chicken and sprinkled over potatoes, cauliflower, okra, or chickpeas. To really bring out the flavors in the spices, try sautéing a teaspoon or two with minced garlic, chili pepper, and onion before adding veggies or chicken. 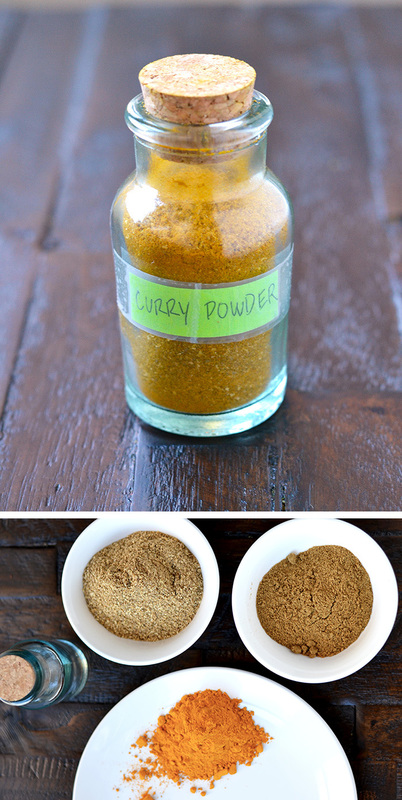 This 3-ingredient curry powder will be enjoyed just as quickly as it was to make. Mix spices together in a small bowl or jar. Mix or cover jar and shake. Use in Indian style dishes such as Lemon Coriander Chicken. Store in an airtight container. Just wanted to say I love the new look and name of the site. The recipes all look delicious but my kids are only interested in that brownie recipe. Have made it a dozen times and they get irritated if I try anything else. Thank you!